It’s not enough to order a beautiful wrought iron or wooden gazebo for the backyard. Once the structure is in place, the homeowner needs to think about how to decorate the space so that it’s functional and attractive. Here are some ideas that will accomplish those goals. Many designs for patio furniture will work equally well when it comes to furnishing the gazebo. To ensure the look is unified, consider investing in furnishings that are from the same materials as the structure. For example, wrought iron furnishings that are painted or finished in the same color will blend in nicely. Add in cushions made from waterproof materials and the basics of the gazebo decoration will be in place. The gazebo details already add some visual interest, but no rule says the homeowner can’t build on that foundation. One way to manage the task is to utilize accents like climbing vines or blooms made of the same metal as the structure. Those can be affixed around entrances, over windows, or even used as borders along the walls. Paint these accents in a color that work well with the primary shade of the gazebo and it will be hard to go wrong. Adding some light source will make that easy. Consider the idea of installing a wrought iron candle chandelier in the gazebo ceiling. Make sure that the installation makes it easy to raise and lower the light since it will be necessary to replace the candles from time to time. If more subdued lighting is desired, adding a few candle sconces along the walls will provide just the right touch. Those sconces will double as wall art when not in use.There are plenty of ways to make sure the gazebo decoration provides beauty and function to the back yard. Take the time to consider what elements would provide comfortable seating, make the space more appealing to the eye, and also be easy to maintain. With a little planning and attention to detail, it won’t take long to identify the right elements to include in the decorating scheme. 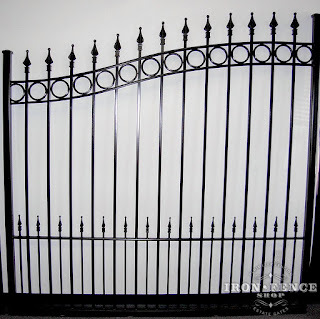 Wrought iron has historically been used for ornamental fencing because of its beauty and durability. They have been works of art that have been written about and forever captured by artists who found them to be mesmerizing. Many historic homes across the world have used some form of wrought iron as gates and fencing.Wrought iron fencing is beautiful but also serves a crucial function around homes and businesses. The fencing comes in a variety of heights including 3’, 4’, 5’, and 6’. The first place to start is deciding what the fenced area will be used for and determining what size fencing is required for the intended purpose. It may just be a way to spruce up a neglected spot in the yard or to keep unwanted animals out, either way, and wrought iron is the right choice. Gardens or flower gardens are great places to use a fence that is shorter in height. 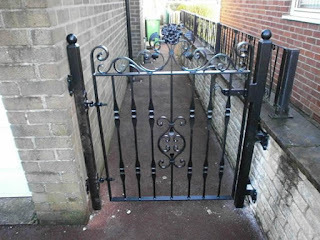 Wrought iron garden fencing has been designed for small landscaped areas. They add a decorative touch to that special area and are often used to help keep out pets. These fences are easy to install and are made to last. The imagination only limits Today's wrought iron styles. The designs range from a fun, modern pineapple design to the classic Fleur De Lis that is timeless. Some people like to mix and match while others like to choose a style and stick with it throughout the entire area. There is no right or wrong way to do fencing, and it really all comes down to preference.A gate is a finishing touch to any wrought iron fence. They pair well with each other to complete the look and give an aesthetically pleasing appearance to any space. The gates can also be locked to provide that extra level of security in yards or around a pool. They can be custom made to fit and are a necessary addition to any fence. Wrought iron is the perfect solution for any home or business that is in need of fencing. 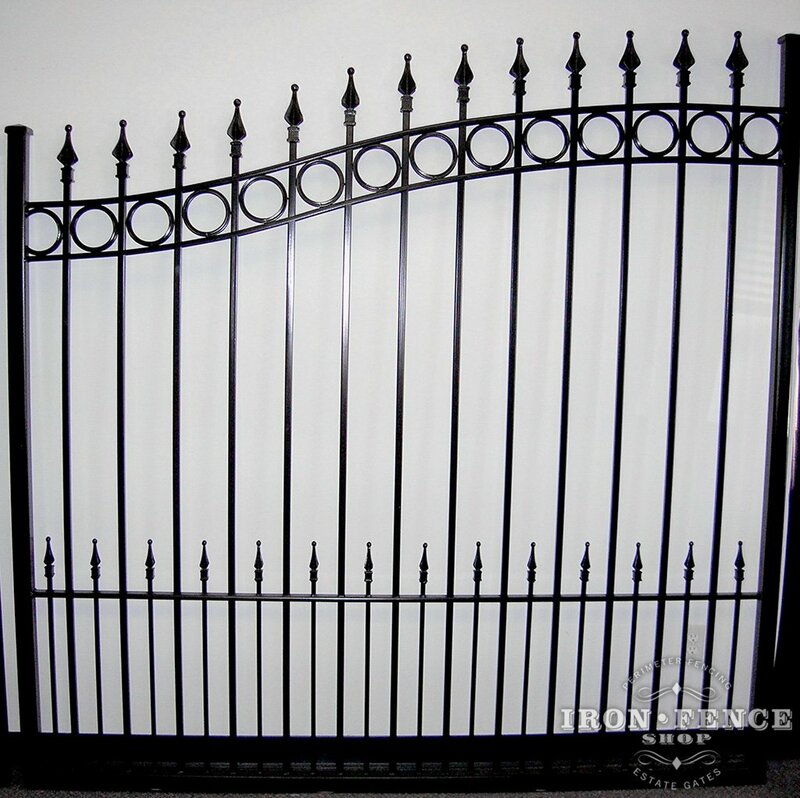 Shopping for a high-quality iron rod fence can be an easy and pleasant task. Many companies that specialize in the garden and home decorative products offer plentiful iron fence options. These gates run the gamut in the size department, too. They're often as short as three feet. They're often as tall as six feet, too. There are also many iron fence choices that are somewhere in the middle of the two height extremes. Fences that are four or five feet tall are both standard.Fences can do a lot for properties. They're highly functional. They can give residences additional protection from potential trespassers. They can often keep curious pets and wildlife away, too. Fences can even make suitable privacy options. Homeowners who want to make sure their residences are serene and private sanctuaries often invest in gates and fences that are on the taller side. Tall fences make it hard for other people to be able to get close looks.There are many attractive and inviting iron rod fence options available to eager shoppers. These walls can provide outdoor environments with one-of-a-kind appeals. They're also often a cinch to install. People who purchase these types of fences opt for extras, too. They sometimes complement them with charming flower garden borders. A design consideration is crucial for any individual who wants to select a good iron fence for his or her property. The good news is that iron fences are available in a vast assortment of different styles. Some of these fences are suited to modern, sleek and contemporary home styles. Others are more suited to properties that are traditional and classic in feel. People who appreciate old-fashioned comfort often gravitate to iron fences that are equipped with cozy antique looks. Fans of antique charm often go for double swing gates. There are also many people out there who prefer the basics. Characters who are interested in iron gates that are functional, efficient and inconspicuous usually opt for solid metal offerings. Although these gates are rather subtle in appearance, they still manage to maintain elegance and class that's hard to replicate. A wrought iron ceiling candle chandelier adds an element of class the distinction that it puts into places it's incorporated. Many design benefits accrue from adding this type of light to a particular space in a residence. This particular chandelier is also a versatile addition. It is well suited for placement either inside a residence, on a patio or even in a gazebo. The same style wrought iron chandelier fitted for candles also can be incorporated in both interior and exterior spaces to enhance a sense of decorative flow into and through a home. The only real refuge most people seem to have is in their homes. However, even residences can lack the calming influence necessary to provide an overworked person. One of the interesting elements of a candle chandelier is the fact that the flickering glow of candles adds a relaxing vibe to a room or patio. The sense of smell plays a crucial role in a person's state of mind. One of the pleasures of having a wrought iron ceiling candle chandelier is that scented candles can be incorporated into the decorative piece. The scents can easily be altered to reflect how a room will become useful at a particular time. For example, a homeowner may select a different candle fragrance for a party than when intent on spending a rejuvenating evening at home. A key reason why a wrought iron candle chandelier is an ideal choice rests in its inherent durability. With a wrought iron selection, the candle light enjoys a long lifetime, no matter the frequency of use.